Choose the right coach by asking the right questions. 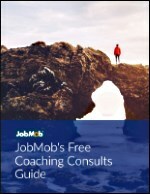 Many job search and career coaches offer free consult calls as a way to connect with you. But the free consult isn't really a chance to get a lot of free advice. Instead, it's a way to explain your situation and then flip the tables around to interview the coach and see if you should hire them to help you get hired. To make the best choice, you need to know the best questions to ask during a free consultation. I polled coaches from my 50 Career Coaches Who Give Free Consults On Every Topic You Need for their favorite job seeker questions, and here's what they suggested. – How do I figure-out what kind of work I’d really like to do and how I’d ideally like my career to be? – How can I identify what’s holding me back and getting in the way of reaching my career potential? The best question any job seeker or person can ask a coach is, “How are we measuring the progress I make by working with you”. While the client is the one doing the work and generating the results they desire, it is the coach's job (in my view) to hold that client accountable to the process and help them to stay on task. So tracking and monitoring tasks/milestones will be a key factor for defining success! The best questions are when my clients tell me that they care about people and our planet, and they want to know HOW to make a career change to do more for humankind. They want to know HOW to develop as greater leaders. I LOVE that. I looked through my client communications and those questions are a common theme and the best in my opinion. I love people who think like that – like how to help others! I think that the best question to ask is: How do I get the most out of our time together? If the answer is not convincing, move on. If you feel your question irritates him/her, I wouldn't pursue either. After we have assessed the person’s profile, we can advise them on the issues holding them back – such as poor quality job application, no local experience, poor interview skills or competition from stronger candidates (which we need to help them match). Many times, my clients come to me discouraged because they are really stuck. Perhaps they have no idea what they want to do with their lives, or perhaps they have been job hunting for a long time with no results, or perhaps they have a terrible, critical boss who has left them completely without confidence. 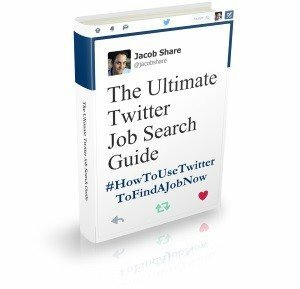 As a result, they are afraid they will never find a good job that makes them happy. I appreciate when clients bring this question to the table right away because then I can talk to them about what we're going to do differently together that will get them where they want to go. Usually clients leave that initial consultation with a lot more hope about their worth and their future– that's why it's such a great question to ask. In my opinion, this is the best question because it demonstrates a willingness to learn and grow, and it's not just asking for facts (like how much I charge as a career coach). It's gathering real advice. 1. Can I contact any of your previous clients to discuss their experience? 2. What makes you different from any other Career Coach? What do you think is the best question to ask in a free consult? If you've asked it, did you like the coach's response? Tell us in the comments. 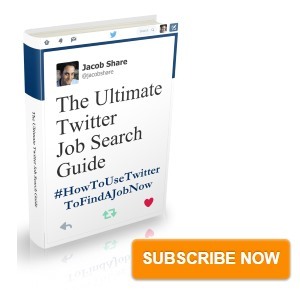 Subscribe to JobMob via RSS or email and follow me on Twitter for job search answers from job search experts.